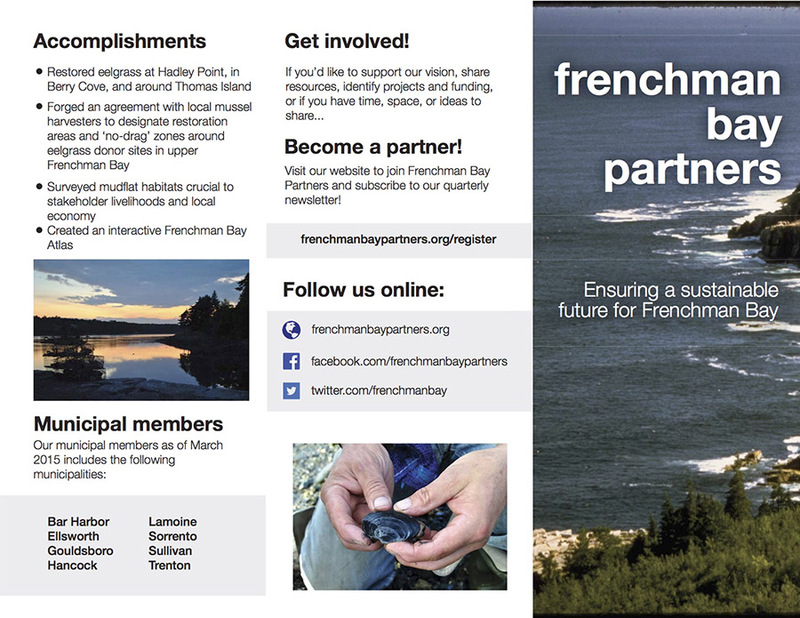 The Frenchman Bay Partners is kind of a coalition of people working around the bay – seaweed harvesters, wormers, scientists, Harbor Committee members, Shellfish Committee members, college professors, tour companies, mussel farmers, land trust people – who are concerned with the ecological and economic health of the bay. You’ll be meeting a few of them in coming interviews. I think I’m the only artist in the group. 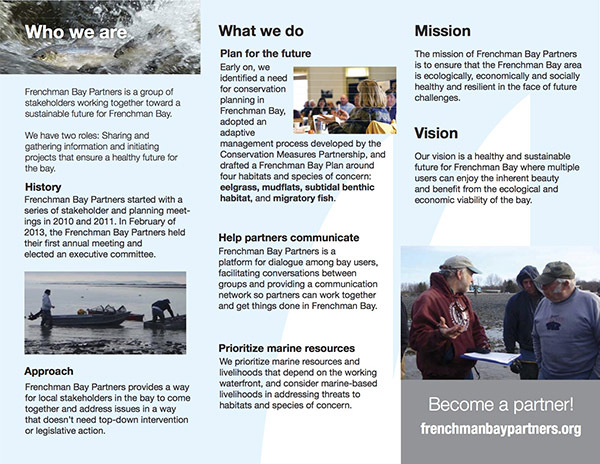 If you are deeply concerned about things like green crabs, mudflats, or sustainable harvesting of marine resources, you should probably join, too.